I eagerly await my OwlCrate box every month, but this month I was counting down the days till it arrived. The theme was Strange & Unusual, and I was beyond excited to see what goodies would be in it. Lemme just say before getting into the items how impressed I was with just how much stuff they sent out. Literally, the box was so jam packed that I even had a hard time opening it and it was just such a great selection. So, without any further ado, let's get into it! First up was this pennant banner designed by Risa Rodil. 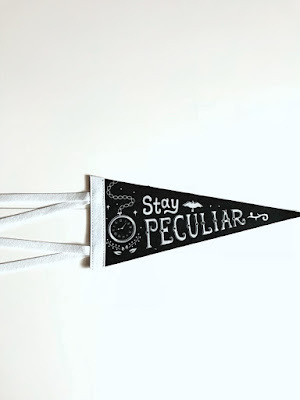 It's inspired by Miss Peregrine's Home for Peculiar Children, and while I read the first book, I didn't continue with the series because it didn't fully catch my interest, but I do like the flag. I've always been a fan of letting your freak flag fly, and now I literally can do just that. 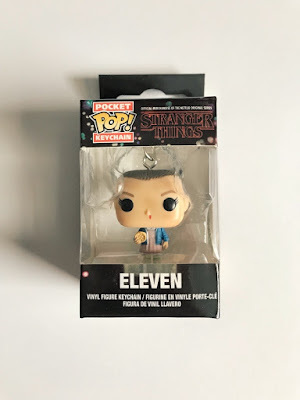 I was super pumped when OwlCrate announced they'd be including a Stranger Things item in this months box because I'm just obsessed with that show. 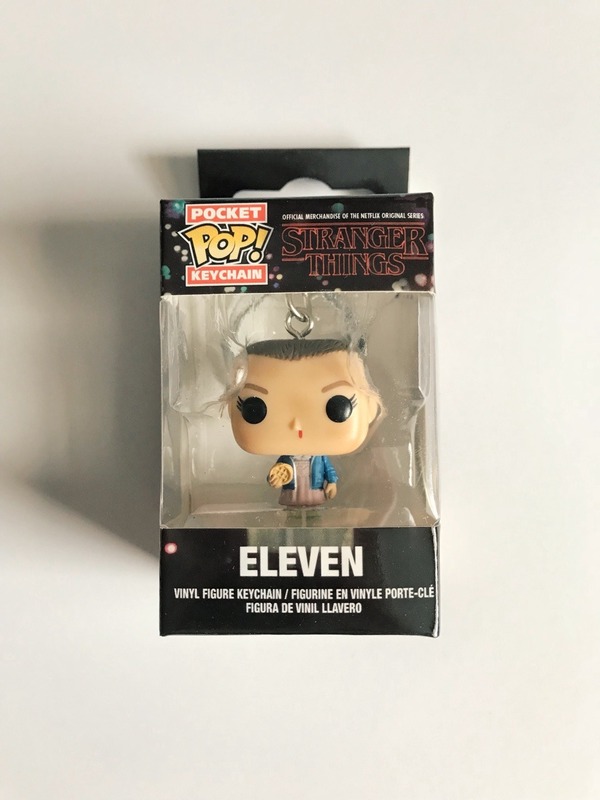 I love everything about it and I'm so glad that out of the Eleven or Dustin option they sent out, that I got Eleven. No offense to Dustin cause I do actually really love him (especially in Season 2), but Eleven's my girl. She's such a badass and I wish I could be her when I grow up. I love when subscription boxes send you items that are practical. If that item also happens to be stationery related, then I am the happiest gal in the world. 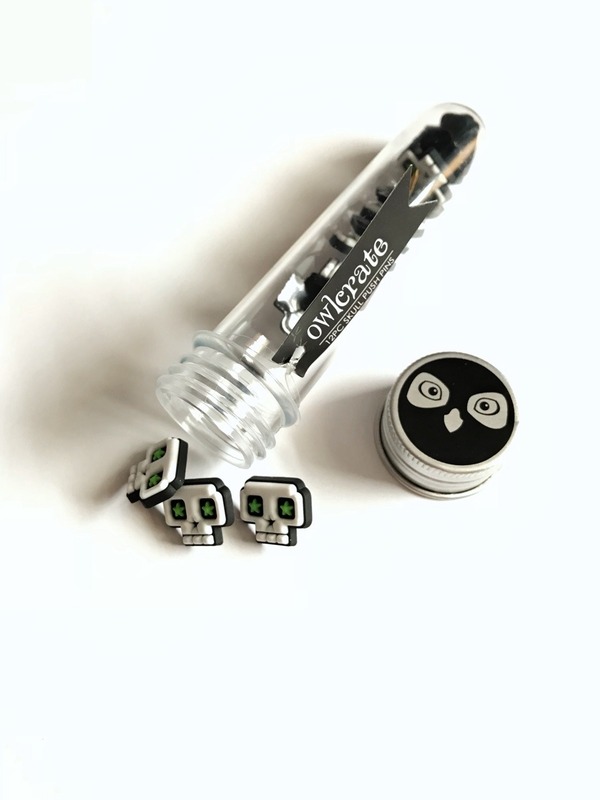 These skull push pins created by Team OwlCrate are so adorable and the perfect additions to my cork board. 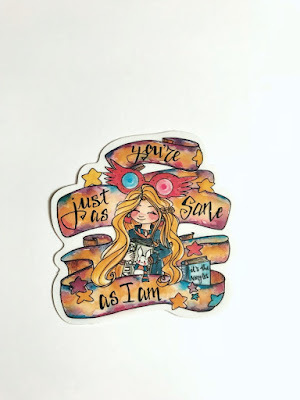 One of my all time favorite characters is Luna Lovegood. I love so much about her and the way she views the world and how she isn't afraid of walking to the beat of her own drum. Needless to say, this sticker designed by TJ Lubrano was my favorite thing in the whole box. 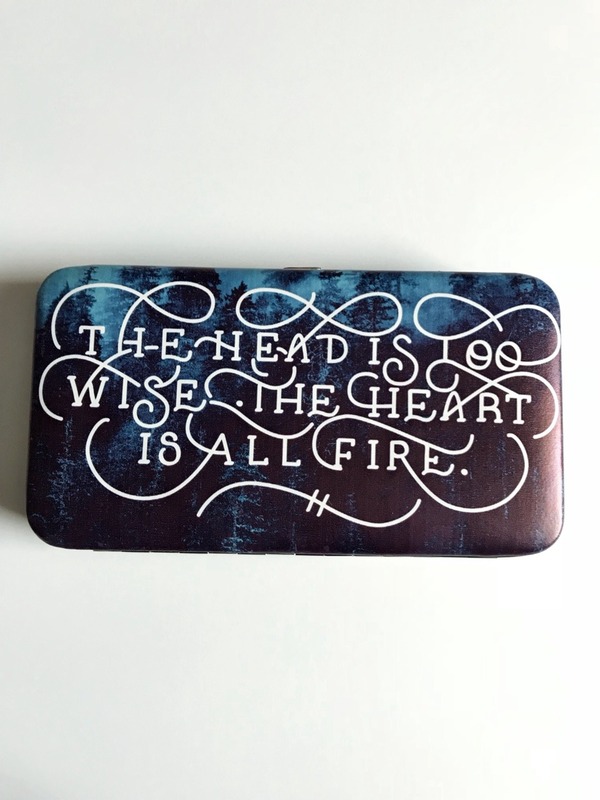 How cool is this mint tin designed by Boston America Corp? I used to love Ouija boards when I was younger, I found them so fascinating but also terrifying. I vividly remember playing with one right before my friends mom took me and him to see The Craft in theaters (side note: we were definitely too young to see it), and when we came out, it was all windy and stormy and I ran inside my house and launched myself under my covers cause I was sure it was ghosts. 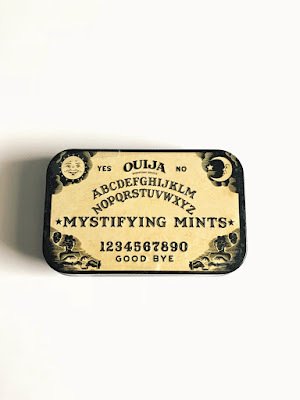 Also, I really hope these are spirit-mint flavored. Get it? Spearmint, spirit-mint? I'll be here all week, folks. I love how they included a nice mix of quirky things in this box. One of the lesser spooky items was this lovely whimsical print designed by Aun-Juli Riddle. 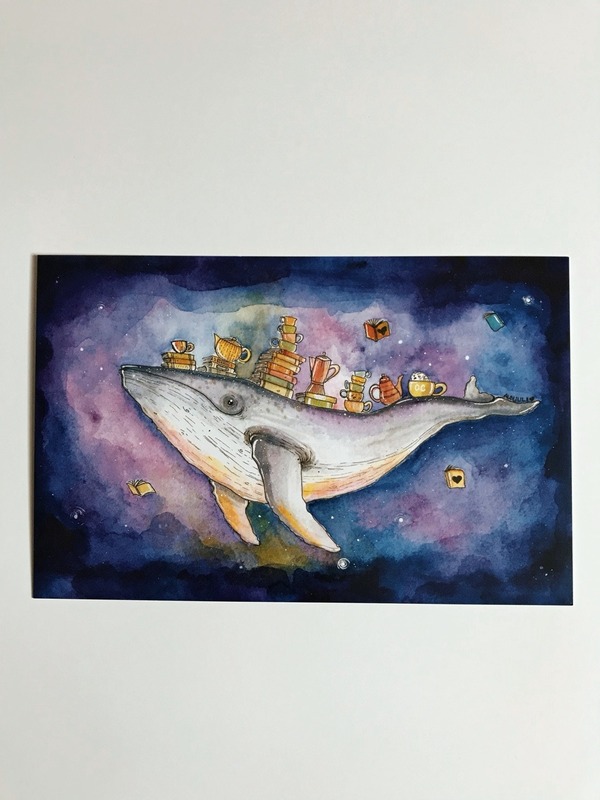 I love how there's all these stacks of books and tea cups and kettles on the back of this whale. It also really gives me Doctor Who vibes to when Amy saved the star whale, and that makes my little Whovian heart happy. 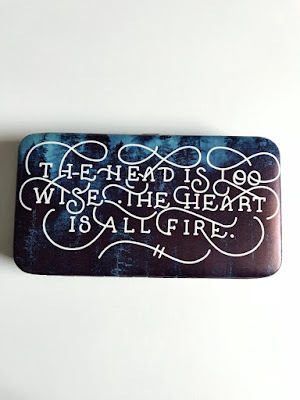 The last item was this wallet designed by Reverie and Ink inspired by The Raven King. I've never read the Raven Boys series, but I've heard such great things and it is on my TBR. This is such a pretty quote and I love how this is an item I've never seen OwlCrate, or really any other subscription box, do before. It also came with a little wrist clip on to make it a clutch which I thought was a nice touch as well. The book this month is My Plain Jane by Cynthia Hand, Brodi Ashton and Jodi Meadows. This is the second book in the Lady Janies series (however, you don't need to have read the first book to enjoy this one), and loosely follows the story of Jane Eyre with some supernatural Victorian Ghostbust-ing thrown in. 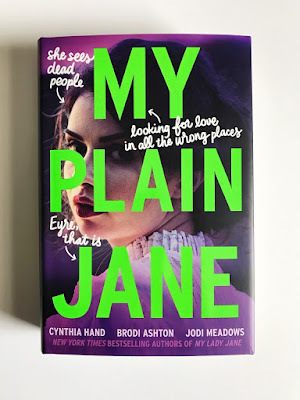 My Plain Jane takes a classic novel that so many people either know or have heard of and completely flips it on its head. It's adventurous and spooky and not to mention witty as anything. There's ghosts and the occult and fun characters, what more could you want? I was so hoping this would be the book of the month, and I'm in love with the purple and lime green combo of the OwlCrate exclusive cover. I had actually recently read the first book, My Lady Jane (which I loved-- it was a retelling of Lady Jane Grey, England's 9 day queen, with some animal shape-shifting thrown in), so that way I could be familiar with the series. Usually, I'm a bit wary of a book if it has quite a few authors writing it, but Hand, Ashton and Meadows' styles flow seamlessly and they bring together a perfect blend of historical fiction and fantasy. I also just recently read a manga version of Jane Eyre (review here), so I can't wait to dive into this retelling. Nice haul!! Luna Lovegood is one of my favorite characters as well!!! Thanks! Isn't she the best?! Awesome box! I love the freak flag! Risa's graphic designs are always so animated and unique. The whale print and Luna sticker are so cute. I haven't heard of the Jane series, but it sounds like a lot of fun, especially Victorian-style Ghostbusting. Thanks! I love her designs, too. They're so cute! You should check out the series, they're super fun! Wow that’s a lot of stuff. 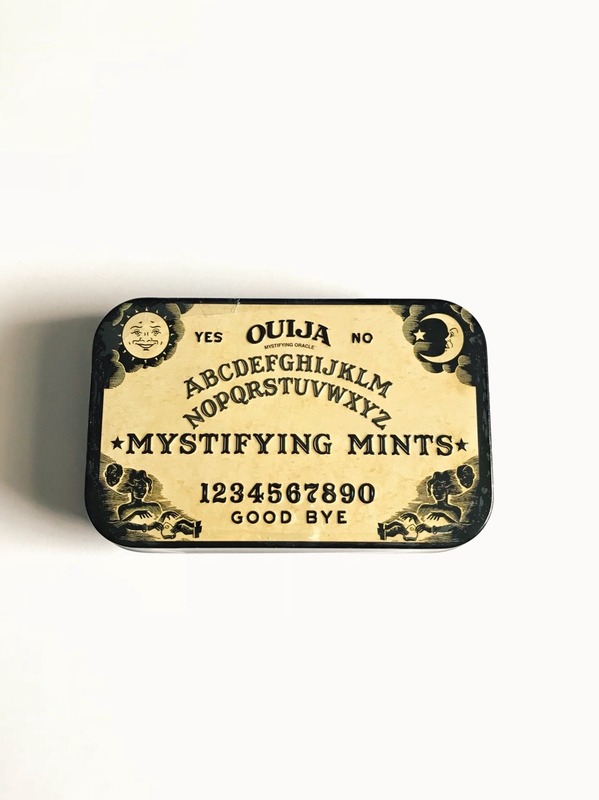 I especially like the ouiji board mint tin , especially your joke ;). Also it’s cool you got the pocket pop keychain because you have others from other themes , so that’s right up your alley! Haha, I knew you'd appreciate my pun and yeah, I can't wait to add it to my keychain!